From growing up and being raised on a farm in Canada to a slot at the mecca Tomorrowland Music Festival, DJ/Producer Conro is quickly on the rise in dance with one of the more versatile sounds out there right now. Currently releasing music with Monstercat, Conro is continuing to pursue his passion of producing music, spinning his prior musical endeavors into a new and exciting vision. A humble and inspiring young artist, Conro’s extensive musical background, (including his family) has had an outstanding influence on where he is today. From playing in bands when he was younger, to making several folk albums, to most recently deciding to switch over to electronic compositions, it’s clear that whatever musical path Conro takes, he devotes himself 110% and stops at nothing to make his dreams come true. We took a seat with Conro during Miami Music Week at South Beach’s Taquiza, probably the most delicious street taco spot imaginable to talk all things new music, crazy tour stories, memorable crowds and more over Coronas and tacos. The Nocturnal Times: We’re starting everything off with another Miami Music Week, leading up to Ultra’s 20th Anniversary. How do you feel being here right now? Conro: Very happy. It’s always fun being here – there’s so many people. You run into so many artists and label reps walking around. And also the sun! Love the sun, it’s a change of pace. The Nocturnal Times: What do you have going on this week as far as shows go? Conro: Just some pool parties during the day. Later today (Thursday) we’re going to the Sirius XM Party. We’re coming here and promoting a lot. I have a record that’s been on top 10 Radio and we’re promoting that and also a new song called “Take Me There.” I have a song coming out next week on the 30th so I’m really excited about that. “Close” is the one that’s been doing really well so far, I think it’s been on the charts for 17 weeks now so that’s pretty cool. Then for “Take Me There” I did the vocals on it in the Winter time and that came out 3 weeks ago, and more coming out soon too! The Nocturnal Times: Walk us through a production like “Me” or “Close.” How does it all start? Does it differ? Conro: It always differs. In the beginning I’m usually sitting at a piano playing chords or melodies that I like. Maybe humming or voice notes – it just changes. For “Take Me There” I just wrote it on a guitar sitting in the living room. I was like oh, this is really good. I was humming out a melody and scratching up some lyrics and then…it’s trying to take nothing and morph whatever is in your brain come out. It differs but it usually it starts with piano or guitar. I play a little bit of drums. My mom forced me to play the violin when I was a kid for like 8 years and I hated it. I think it was the fact she forced me to but…now I’m glad she did. The Nocturnal Times: Do you have a favorite instrument? Conro: I like piano the most. My parents have this cool baby grand piano and whenever they’re gone or out of town I’ll drive over to their place and just play the piano for hours, I really like it. The Nocturnal Times: How was it growing up in a family that’s so music inspired? How has that propelled you into where you are today? Conro: My parents have always been supportive growing up. My dad listens to wicked old records like Boston, so I listened to a bunch of stuff like that growing up and my dad would always play the guitar and my mom would help with singing. It’s a huge influence on where I’m at now and I don’t think growing up I recognized it as not everyone is like this…singing in the car and stuff. The Nocturnal Times: You’ve had different styles, genres and inspirations leading to where you are now. How have you taken all that, even folk, and developed the sound you have now? 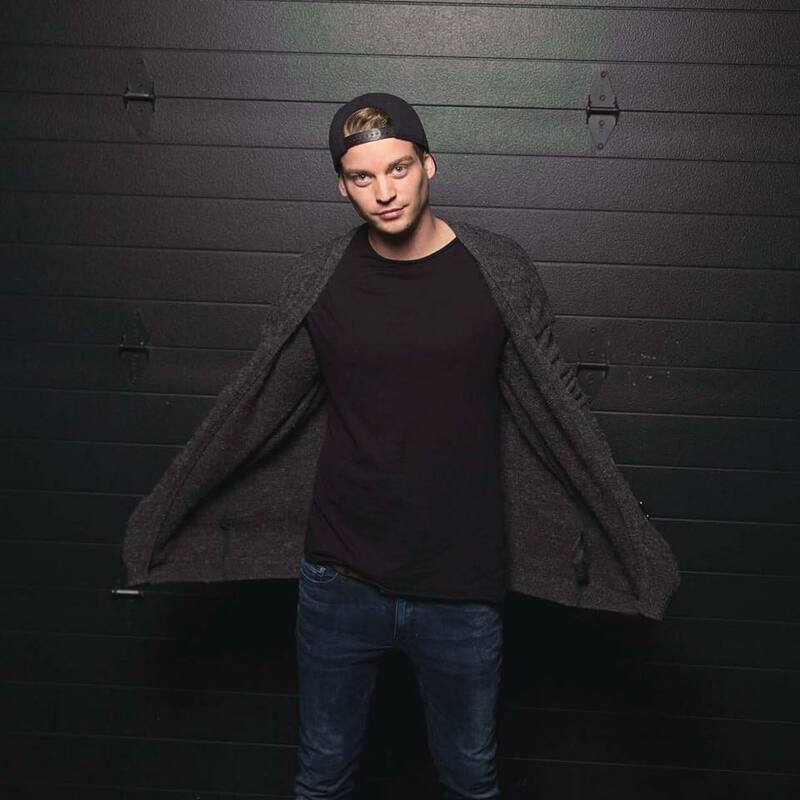 Conro: Now more than ever, I wouldn’t say I was distracted because I’m very proud of what I put out but ya know….you work on one thing that works and then you do that over and over. I think I was getting a little bit trapped in a routine rather than being super creative so, right now I’m really excited with all my influences from the past. Right now I’m doing all my own vocals, I’ve got lots of live instruments and all the songs that are coming out from now until the end of the year, I think there’s 8 songs – I’m so proud of them. They’re like my little babies and I’m really excited. I think there’s going to be a cool sound. It’s still dance music but it’s got a cool vibe. The Nocturnal Times: Were there any dance music producers that first got you into producing? Conro: In the beginning yeah for sure. I think it was the same thing that a million other kids did. I heard Skrillex, Daft Punk and Justice and I loved that but I was always in bands. Then when I heard Skrillex, Zedd and Porter Robinson I was just like wow. I think I can do that. So then I actually quit the band I was with and told them I’m doing electronic music. I think a year or two later I was like heck yeah this is what I want to do. The Nocturnal Times: How did you first learn how to produce? Conro: It was a LOT of Youtube. I was just nerding out. I would sit at home and I work on a program called Logic. I bought a Mac with all my money, I think it was my student loan actually. So I bought the Mac and got this program and then that’s all I did. Every day, every night I was like a little hermit. I just worked on that and like I said lots of Youtube and “how to’s” and eventually I started figuring it out. Then when you start to get a little bit more recognized then you’ve got other people, then they show you things. I’m still learning and technology keeps changing so there’s always so much more to learn. It’s an interesting field of work. The Nocturnal Times: Talking about touring, it’s a hectic and busy lifestyle. What keeps you going despite all of that? Conro: Sometimes, I’ll be completely honest…I’m sitting at an airport with 3 flights cancelled and you’ve been stuck in there for like 70 hours and you’re like…what AM I doing. Specifically I did a China tour and I was stuck in this airport, just oh my goodness…I was dying. Just feeling so defeated and destroyed. Being in a foreign country and not many people speak your language so it’s all these things that come along with it. Then finally when I showed up to the show I felt like I just had the greatest sleep ever! I was jumping around, I was so stoked and everyone was so excited. I think that’s what it is. At the end of the day, as corny as it is, as soon as you get on stage all those emotions before disappear. I do try and sleep as much as I can, sleep on the plane or if you can’t on the plane just power nap. The Nocturnal Times: What have been some of your stand out performances or crowds from the past? Conro: I did Tomorrowland for the first time last year. I had been watching those streams forever when I was a kid. I had done this for Ultra too for a long time. When you get to go to that place that you’ve been watching or dreaming about and you actually play, it doesn’t matter if it’s in front of five people cause it’s just wow I’m here. So Tomorrowland was like a big check, I still carry around the artist pass in my wallet. It’s like a city – the whole thing is crazy. I think that was probably one of the most fun ones. The Nocturnal Times: For the rest of the year, any surprises in store for 2018? Conro: I think the music is most what I’m excited about. There’s going to be lots of shows, always, and that’s going to be a lot of fun meeting people. I think the biggest part is “Me” coming up on the 30th, and then a bunch of other songs. I’ve been working with Stamp, obviously working with Monstercat and some other people. I’m just so excited we’ve got such a big catalogue of music right now and I’m proud. It’s been a really cool transition to doing vocals myself and I’m really happy to show it off.